After many friends bought the Air Cooling Flake Ice Machine, the ice machine appeared snow (refrigerant) leakage, and did not know what refrigerant to add. Here is a brief introduction to what kind of refrigerant snow is generally added to the ice machine. What type of snow system (refrigerant) is to be added to the ice machine, and now there are mainly refrigerant refrigerants in the market: 1. Ammonia (code: R717), 2. Freon-12 (code: R12), 3. Freon -22 (code: R22), 4, R-134a (code: R134a), 5, R-404A refrigerant, 6, R-410A refrigerant. Ice machines are generally equipped with any type of refrigerant (refrigerant), taking the Lear ice machine as an example. 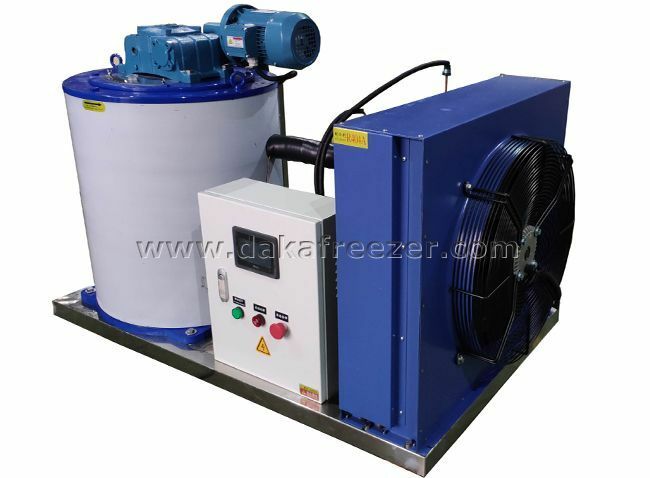 1, Food Processing Flake Ice Machine, Nissan 30 kg -60 kg ice machine plus R134a refrigerant. 2, edible pellet ice machine, Nissan 70 kg-1 ton ice machine plus R404a refrigerant. 3, flake ice machine, Nissan 300 kg flake ice machine plus R22 refrigerant. 4, flake ice machine, Nissan 500 kg -50 tons flake ice machine plus R404a refrigerant. The manufacturer reminds you that if there is a refrigerant leak in the ice machine, please contact the manufacturer if you do not know what type of refrigerant to add, to provide you with the refrigerant type to avoid unnecessary trouble.